This is the home you have been looking for, its perfect in every way! This spotless perfect condition home, is located on a beautiful street, not in a flood zone which is a rare find, so no flood insurance is necessary. This home has a gorgeous lush green lawn, with curbing and tropical trees. It overlooks a beautiful canal, the lanai is oversized, and at the center is a beautiful heated pool which has upgraded pebble tech surface which will last for many, many years. Plenty of room for lounge chairs and sunbathing. Tropical foliage in rear of home provides privacy. The home has sliders in the living room, breakfast area, and off the master. The kitchen has been upgraded with new granite countertops and new appliances. This home is spotless and the layout is just right with a split bedroom plan. Roof and AC only around seven years old. Recently house has had a whole home re-pipe on all the plumbing. Acordian hurricane shutters on lanai and stand alone shutters for all the rest of the openings. Close to parks, bike paths, golfing, fishing, beaches, and quaint restaurants and shopping!! 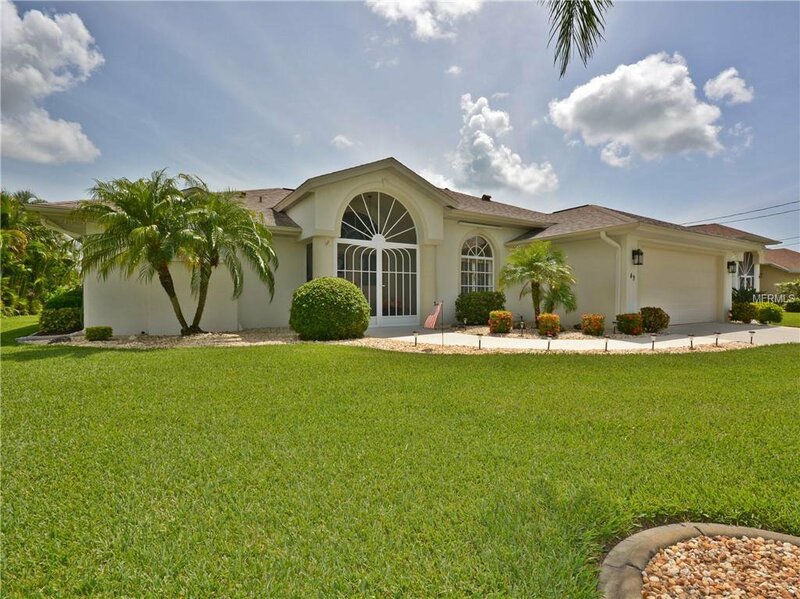 This home supports an excellent opportunity for seasonal rentals; or make it yours and start living the Florida dream! Listing courtesy of PROGRAM REALTY, LLC. Selling Office: GULF REALTY & ASSC. LLC.